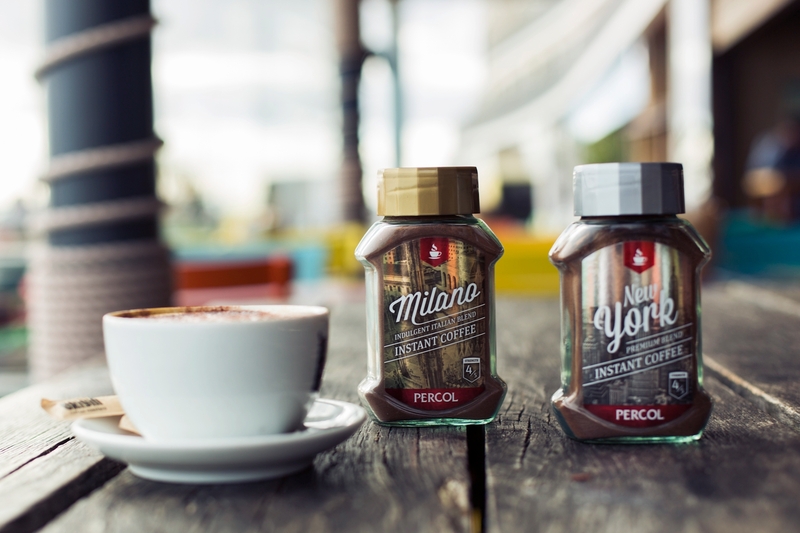 Percol wanted to release a new instant coffee product appealing to a younger target market – clean and contemporary design was called for, with an easy to read colour coding system to identify the coffee strength. Convenience shopping is done either after work or a quick ‘pop in’ during the weekend to pick up the essentials. 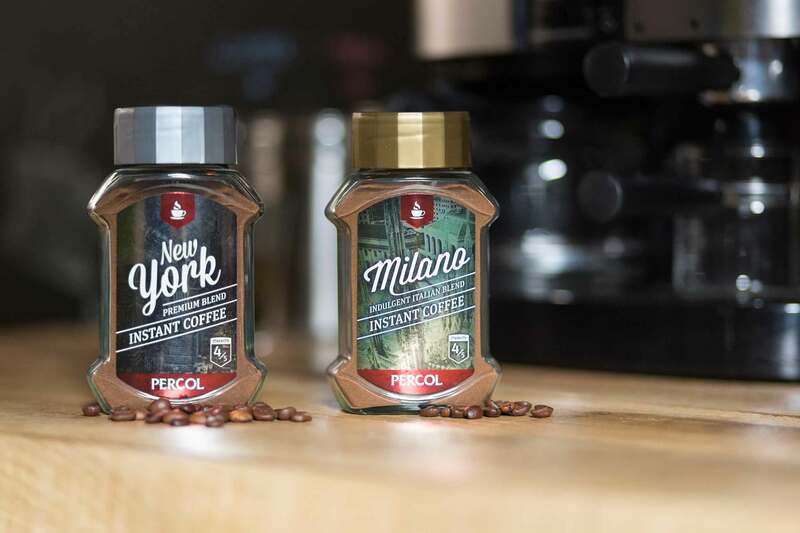 Due to the amount of instant coffee products listed in these stores the new labels needed to have some ‘stand out’ and be easily differentiated on the shelf. 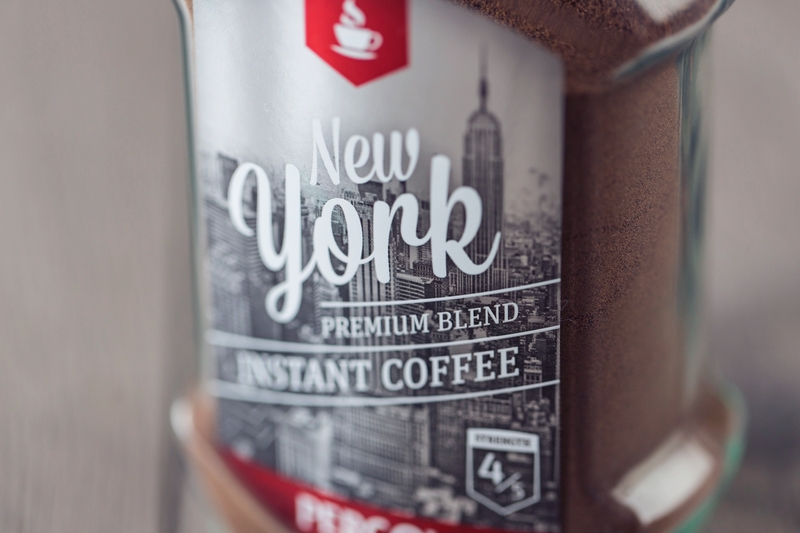 Percol’s new instant coffee was to be sold in convenience stores nationally, the target market was male and female 25–35 years old. 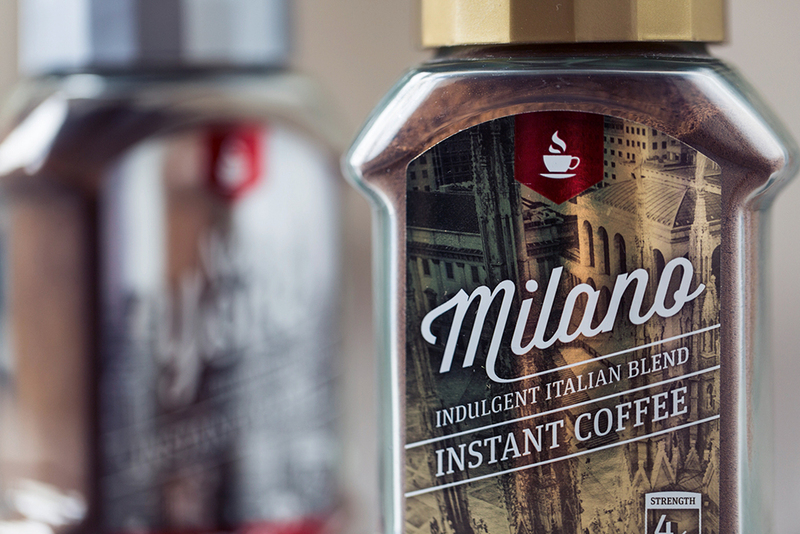 We were asked to reflect the blend’s origin and personality with the use of imagery from the world’s major coffee-loving capital cities. 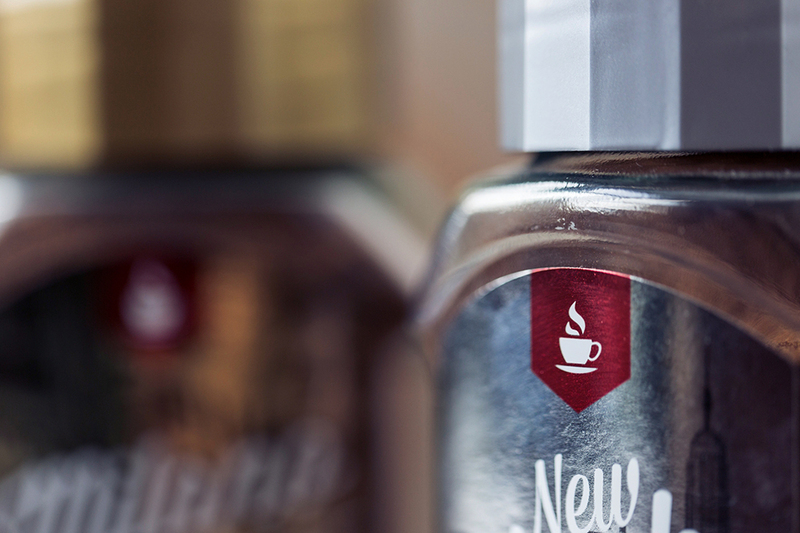 Backing up the company’s brand values, Global created labels that helped to give the product an edge and high-quality feel with the use of silver and gold foils. The end result was an eye catching product which stood out from Percol’s competitors on the shelf.